y la integración de personas con discapacidad en el entorno naútico. 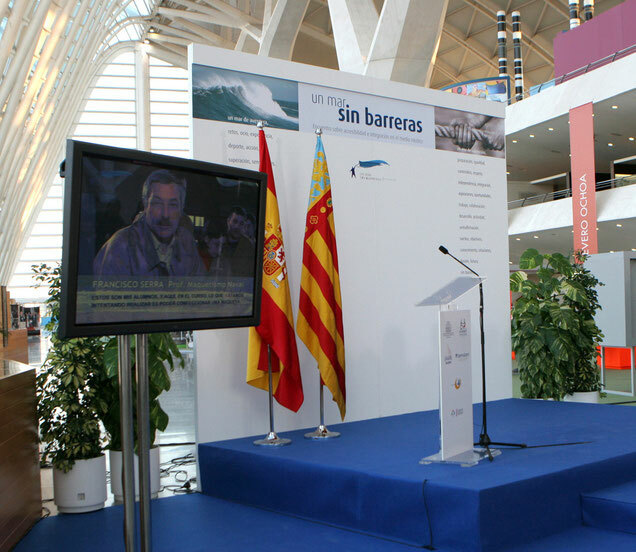 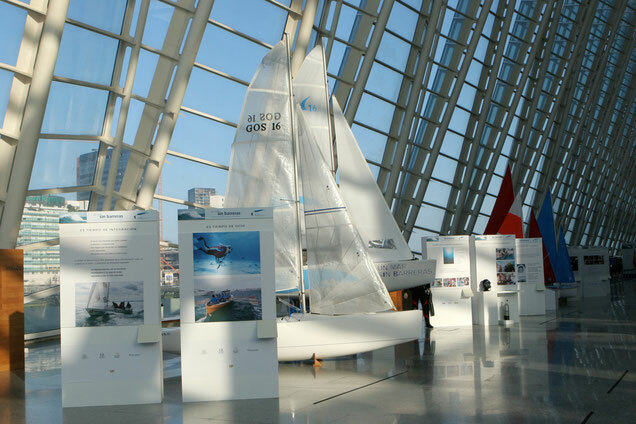 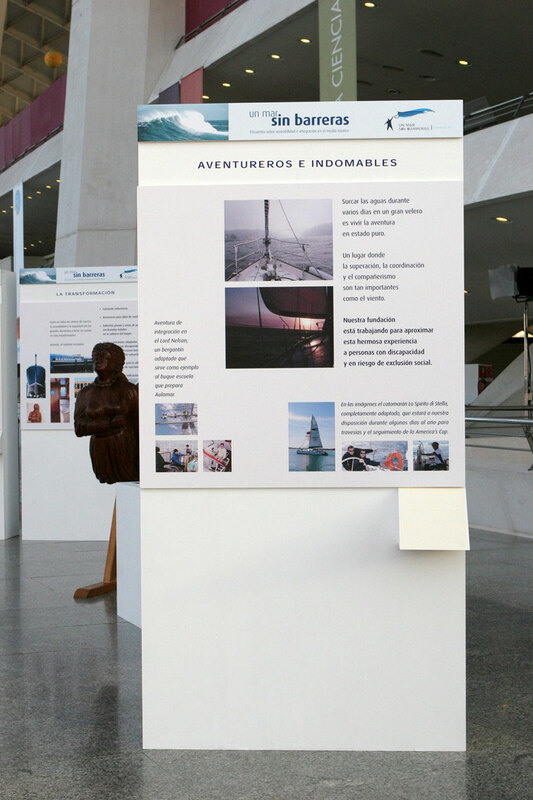 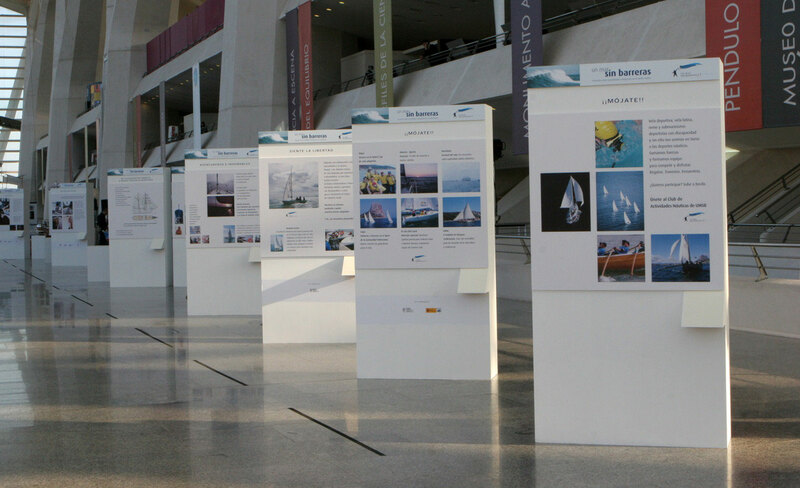 Fundación Un Mar Sin Barreras works to promote accessibility and integration of people with disabilities in a nautical environment. It is active in the field of teaching navigation and in creating workshops on jobs at sea and raising public awareness of the need for adapted facilities at maritime ports. 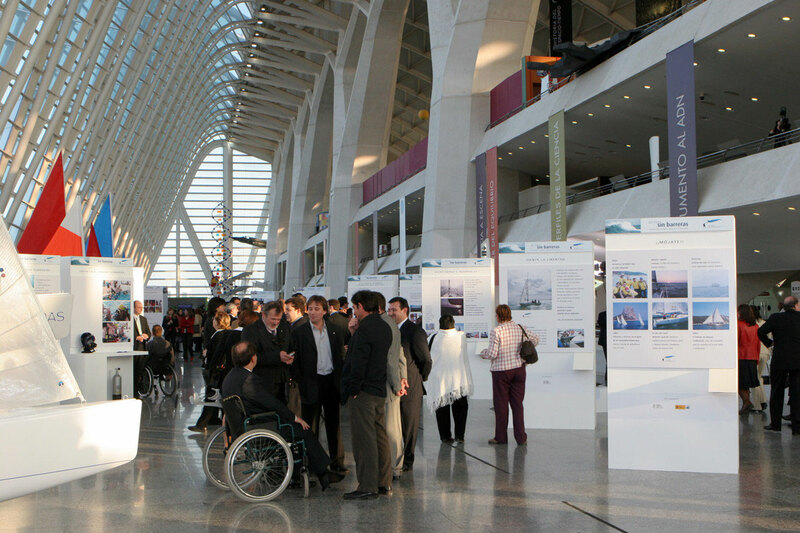 and distribution of the exhibition space in the Principe Felipe Museum in the City of Arts and Sciences, Valencia.